The Lisa Smith Wengler Center for the Arts at Pepperdine University, located in the heart of the campus at 24255 Pacific Coast Highway, Malibu, showcases musicians, performers and artists from around the world at its Raitt Recital Hall (fits roughly 100 people), Smothers Theatre (closer to 500 attendees), Helen E. Lindhurst Theatre and the Frederick R. Weisman Museum of Art. There is a wide range of great acts and artists...covering blues, country, classical, jazz, gospel, soloists, ensembles, acrobats, jugglers, classic rockers, a kids' theater series, art exhibits and numerous student productions. For more information and to buy tickets, visit www.arts.pepperdine.edu or call 310.506.4522. 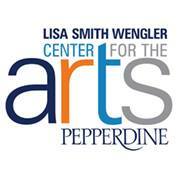 Note: Following a generous estate commitment from Pepperdine University Board member Lisa Smith Wengler, the University dedicated the Lisa Smith Wengler Center for the Arts on November 7, 2013.